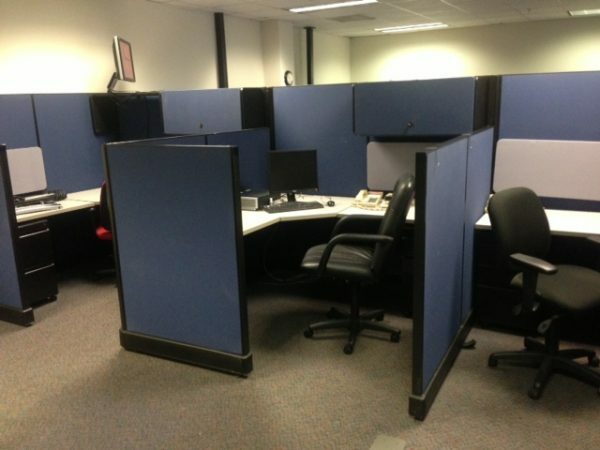 Herman Miller AO2 workstations. This inventory can make 6×6, 6×8 and 8×8. Majority has 67″ high panels and some 54″ high. Corner worksurface with returns. One pedestals and one overhead flipper door unit. Good as-is condition. Blue fabric with black trim. Please fill out contact form to find out all available options.